You are browsing the Blog for alyssa - Scoop: The Appaman Blog. Alyssa’s Pay it Forward is in honor of her high school friend Dan. This past year, Dan was diagnosed with Ewing’s Sarcoma, an aggressive form of cancer. A successful surgery removed his kidney and the tumor around it. He underwent chemotherapy for eight months and has just returned to work! “I have chosen The Sarcoma Foundation of America. 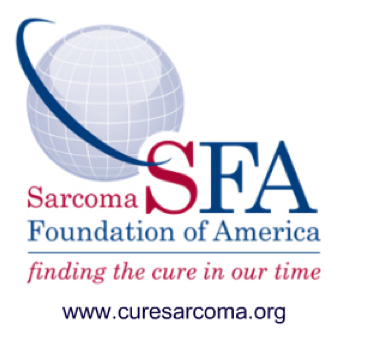 The SFA supports sarcoma patients like Dan by funding research and increasing awareness of the disease. They also work with pharmaceutical companies to develop improved treatments and help with educating patients. Every holiday season, Appaman employees each get to select a charity of their choice to receive a donation. View all of 2014’s Five Weeks of Giving selections here. And now, it’s time for Alyssa’s pick for Appaman’s annual Five Weeks of Giving program, where each Appaman employee choose a charity close to their hearts to receive a holiday donation. Alyssa’s choice is the Skin Cancer Foundation. Since the start of the Skin Cancer Foundation in 1979, the organization has set a standard for the education and the prevention of skin cancer. They stress the importance of early detection and prompt treatment. For more information, visit www.skincancer.org. It’s time for Alyssa’s pick for Appaman’s Seven Weeks of Giving! “This year for my Pay it Forward I would like to make a donation to Charity: Water, an organization that brings clean drinking water to developing countries by drilling wells. Right now they have funded 6,994 projects and 2.7 million people will have access to clean water because of their projects. As a result of their efforts, children can spend more time in school instead of walking for water. I also love knowing that 100% of all donations go directly to funding projects in the field and that you are able to track every donation you make.